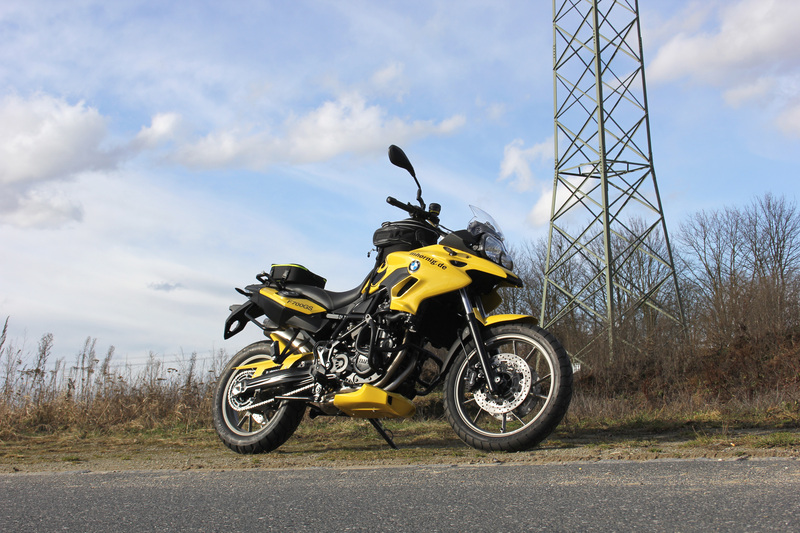 The BMW F700GS, little brother of F800GS, can also handle dirt and gravel road but our attention was to create a beautiful and unique Touring-Enduro out of the new BMW F700GS. You should see it and want to get on it to start the next adventure. 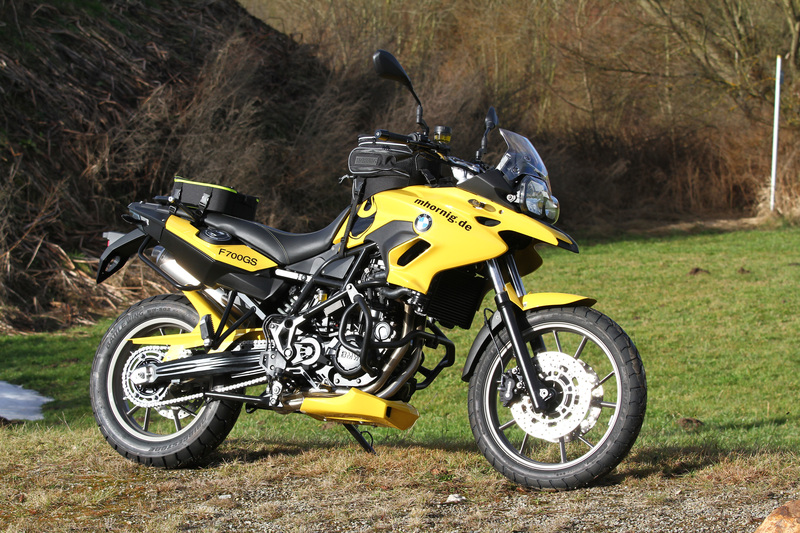 The two most important parts for this are our altered seat to make it even more comfortable and pain-free also on long trips and the GRP Rear Hugger to keep the dirt and spread water where it belongs. The necessary space for luggage must also be provided. 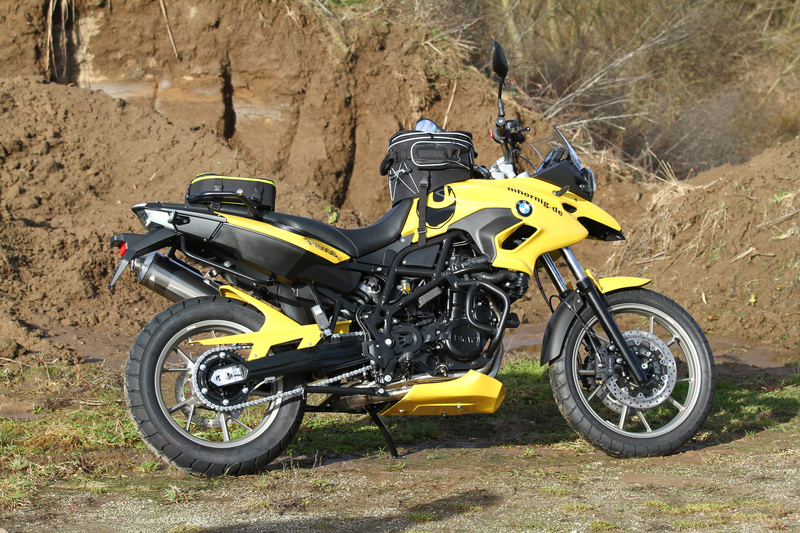 In this example we used the tail bag and our F700GS tank bag which has a volume up to 22 litre. Also very useful to improve your safety are our mirror extensions. You will not see your shoulders anymore but the traffic behind you. To keep possible damage at its lowest we installed crashbars and an amazing Magnum horn to ensure that truck and car drivers won't overlook you. With the combination of 20mm handlebar risers, brake pedal enlargement and sidestand foot enlargement you will corner you bike without any problems. Of course we added also many other optical and useful highlights. The oil temperature gauge shows you when you can push the throttle to its limit and our centre cap top yoke with emblem is simply a beautiful cnc-machined piece of art. 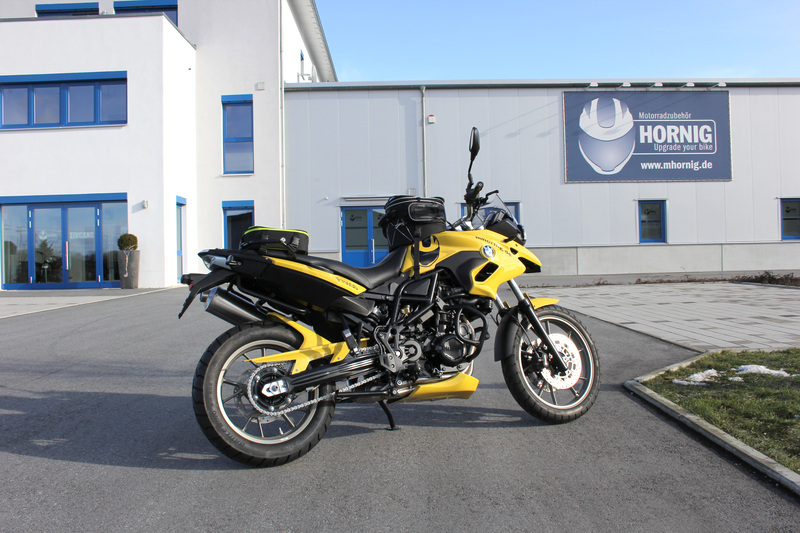 Our homologated bellypan painted in motorcycle colour is a real eye catcher next to the mud guard. And the Remus Revolution Titanium exhaust is the acoustic highlight of this conversion.